Exeter forward James Hanks has been cleared of deliberately eye-gouging Saracens lock Steve Borthwick by the Rugby Football Union. 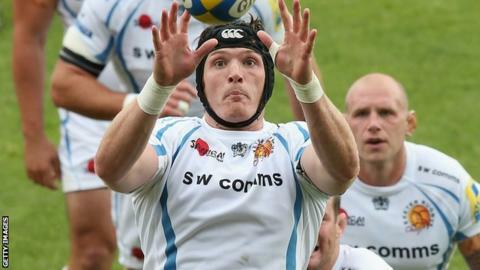 Hanks, 28, was cited following Exeter's 14-12 win over Saracens on Sunday. But an RFU disciplinary panel concluded that although "Hanks' finger did make contact with Borthwick's eye, it was entirely accidental". Hanks has started the Chiefs' last two Premiership games after being a replacement in the first two.